Key ingredients: Flour, cocoa powder, sugar, butter, vanilla essence, etc. The glass vase can be used to store more flowers afterwards or as an decorative piece. The colored paper used in this glass vase arrangement can be used for other purposes. The green filler’s availability in this flower arrangement will depend on their seasonal availability. 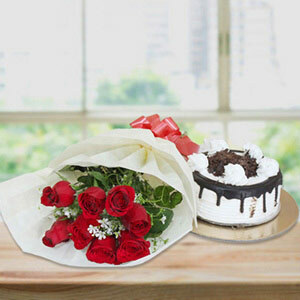 Carnations are frequently used as an edible for decoration and garnishing purposes on salads, cakes, and other desserts. 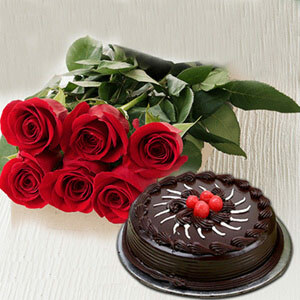 Feeling loved is the sweetest thing in the world and gifts are the best way of expressing that love!! 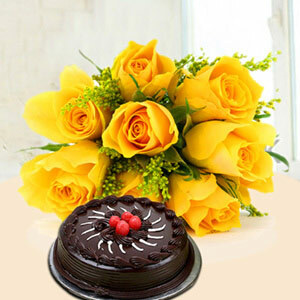 The moments of celebration gives us all the chance to savor the incredible taste of love. 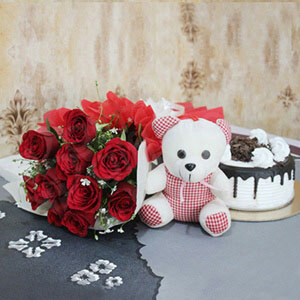 To help you out we have exclusively designed this combo of flower bouquet and cake that will be the best ever gift for any occasion. Hurry to grab this offer now!! Bouquet was nice but the cake was not fresh.